A few days ago, I started a new board on Pinterest for beautiful flowers that I love. 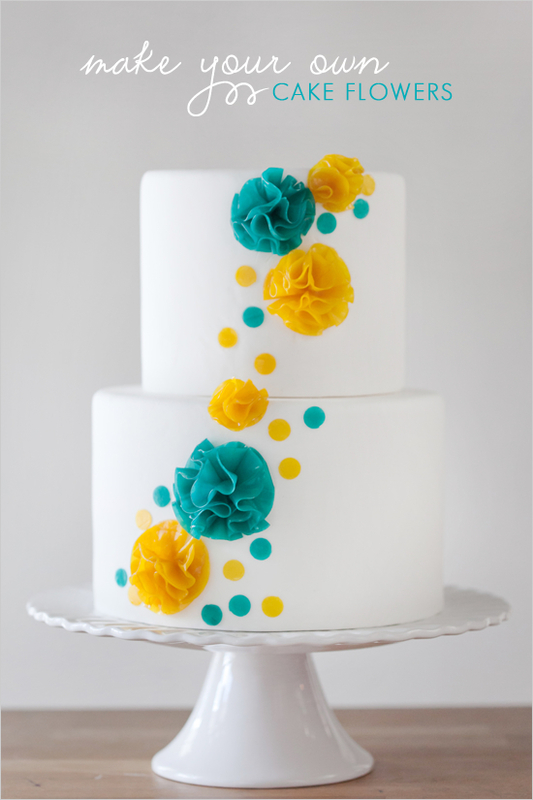 I came across this gorgeous cake with the most stunning flowers. When I clicked the link to find out more, I learned that the amazing flowers are made from fruit leather. They were created by Erin at Wild Orchid Baking Company (who also created the fabulous rainbow heart cake I posted about recently). I knew that I had to share the tutorial with you. 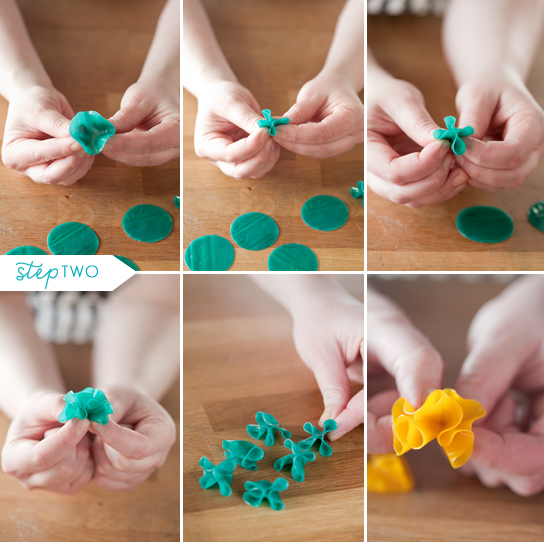 The tutorial is incredibly easy and within minutes, you can create yet oh so stylish flowers to adorn your desserts with. 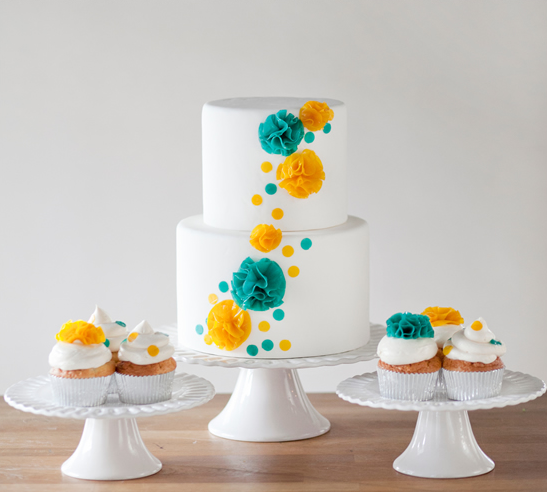 Using a combination of colored fruit leathers, you can create these stunning cake flowers before you know it! 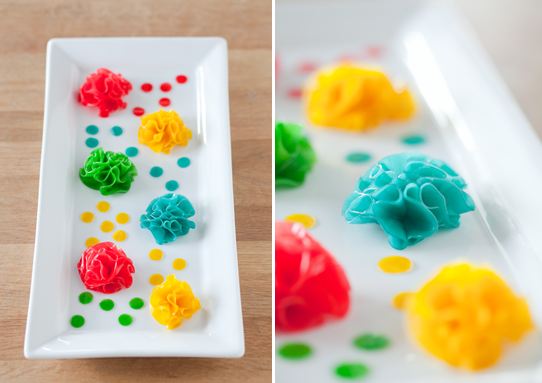 Perfect for decorating a cake or cupcakes. You an also use these cuties to dress up a fruit plate or garnish cake slices. Need an invitation for Pinterest? Email me at stefanie@annaandblue.com and I'll send you an invite. Love them - but what exactly is happening in Step 3? Thanks for your post. You should see the instructions listed below the last picture. thank you! 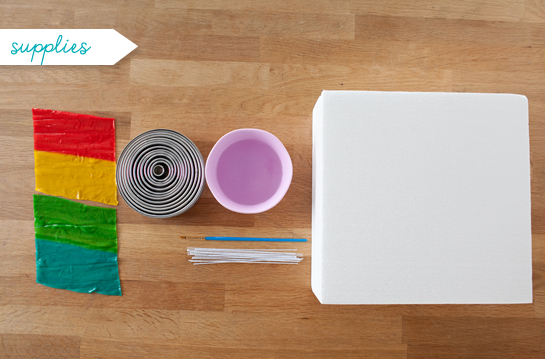 this is so nice and easy to make! What is fruit leather? And how do you make it?